restlesscourage: Thanks Ellis and Terri for a great show! CarolynA: Thanks so much for a great afternoon!! Natalie: Oh it completely cut me off this time. ohnoboyz: Cut me off, too - thanks so much for the wonderful concert! ellis: I'm gonna be on the chat for a couple min here if you want to chat with me!! Mary Kaye: thanks, Ellis! Greetings to T & R! ellis: Thanks so much for joining me friends! Natalie: Just want to send you a HUGE thanks, Ellis! You and your family are wonderful. Feeling the joy down here in Illinois. Natalie: Thanks for hosting another show! ohnoboyz: ohnoboyz is Mandy from Seattle, WA (can't get it to update my name or picture) See you next time! sfgmi: big thanks! love ya. ellis: Yes!!! I'll do another one sometime soon. See you next time Mandy!! Hello Seattle!! Natalie: Wish I could see you sing in person again one day. It's been a about a decade since I saw you. lcostanzo: Manny was playing his own music during the concert, slamming the cabinet doors. I asked him to at least try and get on beat..
ohnoboyz: Will you come back to Seattle anytime soon? ellis: Lorinda! how fun is that?! He's my drummer! ellis: Wow! Natalie where do you live? ohnoboyz: My cat, Odie, came up while you were singing and laid down and went to sleep on the computer...it was purrrrfect. Sounds good! BillG: all west coast touring is welcome! Natalie: Near St. Louis, MO. But I saw you when I lived in VA/ DC. Were you recently in IL?? ellis: I would LOVE to come back to West Coast!! I will get on that! I don't know when yet, but it sure would be lovely to be out there! lcostanzo: I'm thinking an electronic drum set is in his future, with headphones..
Natalie: Did you have a show up there? Natalie: Awe, man. Shoot. Wish I could have made it up there. I need to keep a closer eye on your shows. Natalie: Thank you again for your music, live concerts, and hotline. Have a lovely evening! Cheers! Sabrina bought reward: "a few hand-picked mp3s of the show (Aug 4, 2018)"
jeffe: Thanks, Ellis! It was so great to hear the new tunes as well as some old favorites. Hopefully, my friend Alex Creamer (an amazing singer/songwriter) will be able to see you at the house concert in Littleton. ellis: Are you on my email list? https://www.ellis-music.com/list/ Just in case you haven't been getting my emails. Sometimes they don't land in the inbox. Sabrina: Great show-- thanks! Good to see your smiling face. Natalie: I'm pretty sure that I am, but I'll sign on again. I probably just missed it because my work schedule has been insane. Thanks, again. ellis: Thank you Sabrina!! I'm happy you were able to make it! Whoo Hoo!!! ellis: I'm gonna head out! Thanks everyone. Hope you have a good night!! bought reward: "Mp3 download of this entire show (Aug 4, 2018)"
What was your favorite part of the performance? The intimate feeling of being right there with her. What was your favorite part of the performance? Getting connect with Ellis in real time and hearing favorite songs shared live. (Prior to this, I had only experienced Ellis’s music pre-recorded. Sunday on the porch with Ellis online concert! I love being up close and personal with you and Terri. Your songs are beautiful and being recorded is great but not near as special as sharing time, music, love and laughs with you two and your audience. I might not ever make it to a live concert so this is the best on a personal level. Thank you. Love to all. Best part of the concert was the music but i loved the live interaction as well. A random postcard in the mail from Ellis with uplifting message! 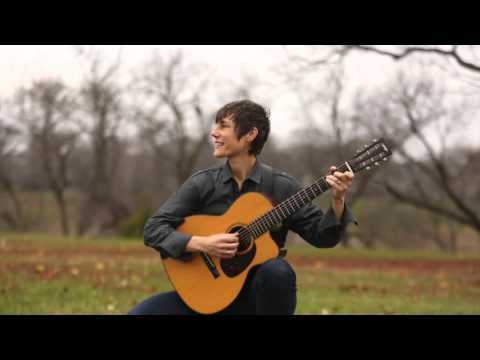 Ellis is an award-winning US nationally touring singer, songwriter and guitarist. Her music leaves audiences better than it finds them; with softened edged and opened hearts.